China has invested huge amounts in the development of innovative businesses. The long history of technological advancement in Asia makes digital products and companies very popular in the entrepreneurial community. Some successful start-ups have been bought by giants like Apple and Google. Home to some of the world's most influential venture capitalists, technology companies and global banks, the Asian market is booming. Highly-regarded universities, a reputation for technological innovation and economies that dominate the global market make Asia a hotbed of talent, investment and business connections for any start-up seeking somewhere to call home. Here are just a few of the cities in the region where you may consider setting up shop. 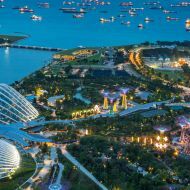 Singapore benefits from both a booming globalised economy and an advantageous location in Southeast Asia, right in the middle of one of the most active innovative technology markets in the world. 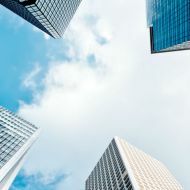 To take full advantage of this, the city-state's government has invested $13.2bn (USD) into research and development initiatives and launched digital transformation body GovTech, to oversee the development of Singapore as a 'Smart Nation'. Google has plans to situate an engineering team in the city-state and recently brought successful work-messaging Singapore start-up Pie under its umbrella, suggesting a level of confidence in the potential of the area. Another government initiative is SGInnovate, an organisation that works with international partners to foster innovative businesses and help them expand globally. They use the unique ecosystem of Singapore, rich in investment capital, valuable education and sustainable research, to advance product development and business growth. A bustling city with a population of around 24.1 million people, Shanghai's retail-heavy economy and world-famous nightlife make it a desirable location for tourists and businesses alike. As an extra temptation, China’s Mass Entrepreneurship and Innovation Policy means that - provided at least one founder has Shanghai citizenship - any start-up can apply for a low-interest rate loan of up to $30,000 (USD) without the need for collateral or guarantee. The on-demand economy is extremely popular. Bike rental start-up Mobike, for example, raised $215m (USD) with its popular app that helps users locate branded bikes-for-hire and has so far expanded into ﬁve Chinese cities. Coworking spaces are big business in Shanghai, with around 500 active locations in 2016. Compared to contemporaries like Singapore and Hong Kong, Shanghai is fairly affordable and some districts offer concessions on rent for registered startups. Beijing is home to somewhere between 4,800 and 7,200 start-ups, making it one of the largest entrepreneurial hubs in the world. This could be attributed to both investment from the Chinese government, who allotted $231bn (USD) for the industry in 2015, and the strong customer base and talent pool. The city has reportedly been the launchpad for over 40 'unicorn' start-ups valued at more than $1bn (USD) each. A notable example is Didi Chuxing, a China-based company with a similar concept to Uber, which received $1bn of investment from Apple in 2016. The technology superpower is now also building a $45m (USD) research facility in the region. Beijing appeared for the first time this year in the Global Startup Ecosystem Ranking, annually published by the Startup Genome project. The Chinese capital broke in at fourth place, scoring well in investment access and the quality of experiences gained by start-ups in the city.